If you’re looking for a Mercedes-Benz oil change near Napa, then bring your car in for service today at our Mercedes-Benz service center in Fairfield. And you’ll get much more than just an oil change when you come in for service. Find out what’s included with our Mercedes-Benz oil change* at Mercedes-Benz of Fairfield, and then stop in for service today! The oil that comes with a Mercedes-Benz oil change is a high-grade synthetic motor oil that has met up to the Mercedes-Benz 229.5 specifications, helping to deliver optimal performance and efficiency while keeping the engine in peak working condition. When you bring your vehicle in for an oil change at our Mercedes-Benz service center in Fairfield, you can rest easy knowing that it’s in the hands of a full team of factory-trained and certified Mercedes-Benz technicians who have access to state-of-the-art diagnostics and repair equipment, as well as a full stock of Mercedes-Benz OEM parts. Mercedes-Benz oil changes are different than oil changes that you get with other cars. Instead of simply draining the oil pan, the oil must be emptied out of the engine with an advanced vacuum method. 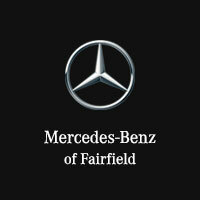 Get Mercedes-Benz Service Near Benicia at Mercedes-Benz of Fairfield! *Oil and filter change is the base advertised service component. Additional services as determined by your vehicle’s ASSYST Plus system, which calculates service needs based on your driving habits, time, mileage and environmental conditions, may increase service cost. Mercedes-Benz oil change services apply to Mercedes-Benz vehicles that are from 2008 or older. 0 comment(s) so far on What Does a Mercedes-Benz Oil Change Include?